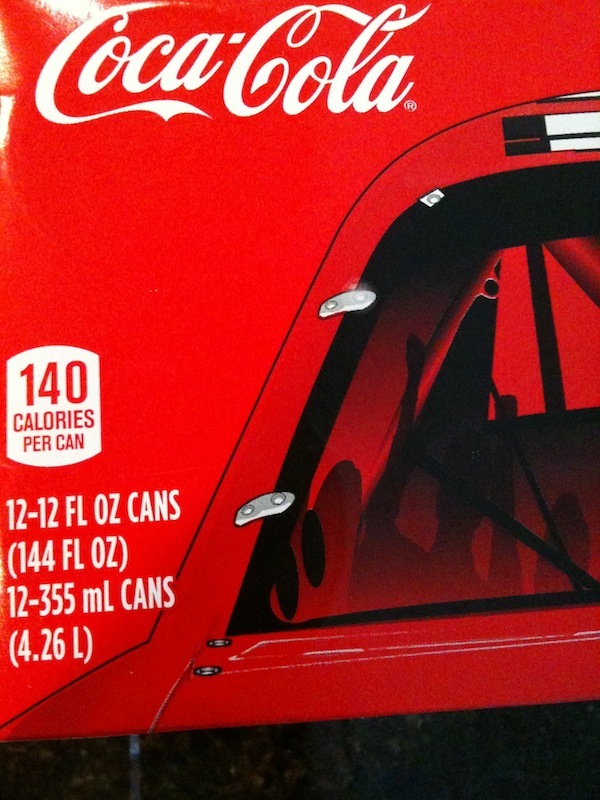 I’m not a Coke drinker; I shy away from soda generally and may be one of the few people who actually prefer Coke Zero. But one of my closest friends loves the stuff, and I’m all for truth in labeling anyway. 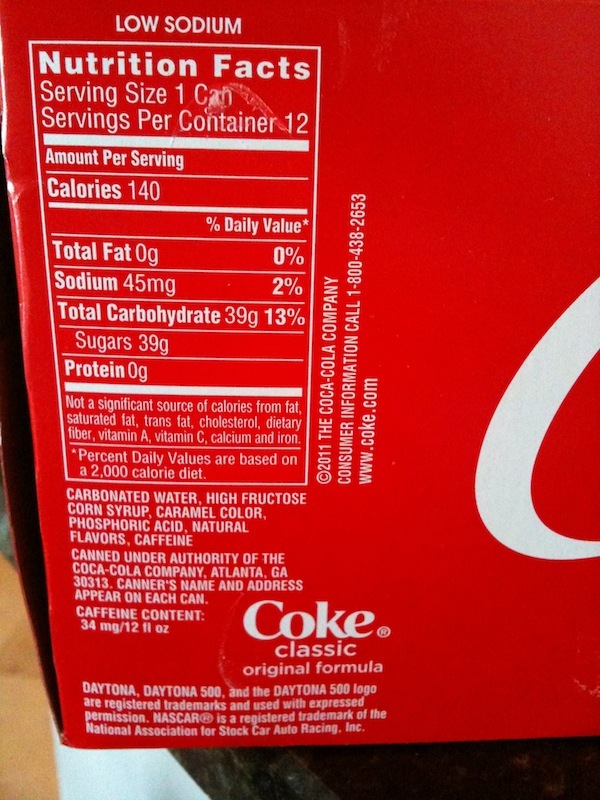 Each can, according to the label, has 39 grams of sugar, not 34. This should result in an estimate of 156 calories per serving (39 * 4), not 140. I can’t reconcile these numbers, no matter how much research I do. And of course, Coca-Cola hasn’t responded to my tweet. I have to think that a company with so massive a legal department wouldn’t let this kind of thing happen by accident, so I believe there’s some explanation for the strange math in play here. I just want to know what it is.